Like most Arsenal fans I am a little sad, but not too surprised at Cesc Fabregas’ move to Barcelona. To be fair we did well to hang on to him last summer and he was always going to go this time round. I think too that the player has behaved impeccably and leaves Arsenal with a degree of dignity. 1 Is Arsene losing the plot? It is not 24 hours since he said that no players were leaving Arsenal. He must have known that the deal was imminent when he said this. Is it a case of wishful thinking or is he genuinely losing it? 2 Why aren’t Barcelona being investigated by FIFA for tapping Cesc up? – I like some of the players and have a soft spot for the manager, but Barcelona are a pretty scummy club aren’t they? They have constantly tapped Cesc up for over two years now, yet no one from FIFA has ever looked into the case. The pressure on Cesc and Arsenal during this time has been immense and it is clear that the player’s performance on the pitch has suffered. 3 Why didn’t Barcelona negotiate sensibly from day one? – It was in everyone’s interests that a deal was done early in the summer, so why leave it so late? Wenger knew he would have to let Cesc go if Barcelona came up with the cash, so why then did the cut-price Catalans let this drag on for so long. I guess it is once again about money. If I am being charitable I would believe that a heavily in debt Barca simply couldn’t afford to up their offer, but I am not sure this is the case. Ultimately the saga has messed up Arsenal;’s pre-season, possibly driven the manager close to insanity and meant that we go into a champs league game with little in the way of the re-inforcements we so desperately needed. I think Arsenal might surprise a few people this year. Maybe we won’t compete with United but I still think we have the talent to compete with the best of the rest of the Premiership. Finally I wish Cesc all the best (unlike the toe-rag Nasri who is just after the cash). Barcelona has a long history of messing with the careers of Arsenal players (Petit, Henry, Overmars, Hleb to name but a few) none of whom have really reached the same levels they attained in north London. I fear that the emergence of Alcantara coupled with Cesc being prone to injuries might not mean that this is the dream move he wants. 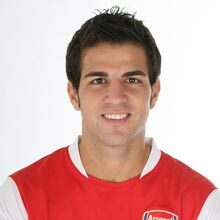 Finally, although Cesc has been a brilliant servant of Arsenal football club, let’s not forget that during his tenure at the club we have won nothing. Here’s hoping that the £35 million we secure from his transfer buys winners.